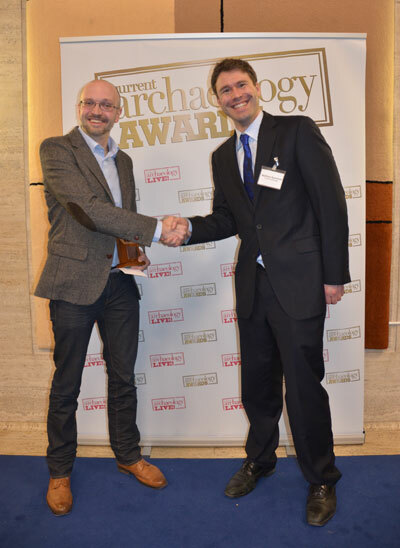 This year’s winner of Book of the Year 2012 is Becoming an Archaeologist: a guide to professional pathways by Joe Flatman, as reviewed in issue 260 of Current Archaeology. This free and frank discussion of life as an archaeologist in the UK, USA, and Australia pulls no punches. Some of Flatman’s assessments of typical pay and working conditions may seem pessimistic, but his enthusiasm for the discipline shines through. This comprehensive volume is a treasure trove of advice for anyone aspiring to enter the field. This year has brought many excellent new books through our door, but the following titles are those we feel deserve special recognition, and were also nominated in this category. It was long thought that Celtic-speaking peoples first appeared in west-central Europe in the 5th or 6th century BC, but this daring volume argues a radically different case. In a move sure to inspire lively debate, Koch and Cunliffe suggest proto-Celtic in fact arose among Bronze Age traders with Eastern Mediterranean contacts and spread from Iberia to Orkney as a commercial lingua franca. This accessibly-written book explores one of the most enigmatic monuments of the late Neolithic. Supported by a wealth of plans and diagrams, Field and Leary take their readers through the mound’s multiple stages of construction, as well as the centuries of investigations which pulled it apart again, ultimately leading to the top collapsing in 2002. Bridging the gap between the late Bronze and Iron Ages for the first time, Sharples presents an alternative account of later prehistoric society. This book elegantly synthesises previous scholarship on the subject and sets an ambitious new agenda for the study of this period. The Roman Empire’s frontiers span three continents, covering 4800 miles across 20 modern countries. Today their walls stand as a physical reminder of both Rome’s expansive ambitions and the ultimate limitations of these. Breeze charts the development of these fortifications, considering whether they were intended as physical barriers or merely reflective of the Romans’ love of spectacular architecture. Vote for Becoming an Archaeologist: a guide to professionalpathways—CA 260 by Joe Flatman! The story of Silbury Hill is a very interesting must read….Best one I have read for ages. It is also printed very well. I also have been lucky that I have pictures of me inside the Hill. The Story of Silbury Hill definitely gets my vote. This is an excellent, knowledgeable and well-written book on a fascinating subject – recommended! Great interesting book, well done. Joe Flatman’s book, Becoming an Archaeologist,gets my vote hands down. Having had a book such as this one in my early years would have made the path shorter and much clearer. I am slightly biased as the author’s father, but I read it critically and was especially impressed with the first chapter on what archaeology is. Here is certainly the most convincing research on this fascinating subject. Previous ideas of the source of our Celtic languages have been re-examined and shown to be inadequate. It is set out logically and written clearly . This revolutionary publication is a winner. Some excellent choices here! Best of luck to all candidates. Read these books and learn something! Social Relations in Later Prehistory: Wessex in the first millennium BC by Niall Sharples gets my vote, nice illustrations too.